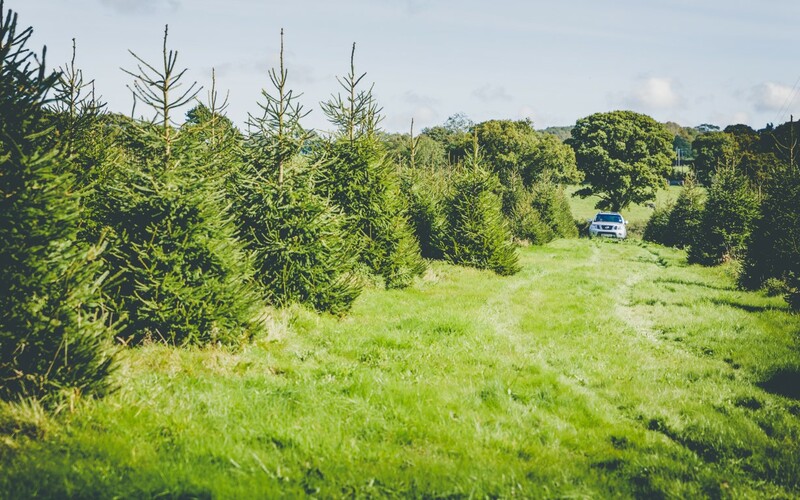 Enjoy a magical start to your Christmas festivities with an exciting trip to Cotley Christmas Tree Farm’s exclusive Choose a Tree weekend, providing a glimpse at the farm ahead of the official opening - and the opportunity to handpick your very own homegrown Christmas tree in the field! Following the huge success of last year, our Choose a Tree weekend returns for TWO weekends. Join us on Saturday 17 and Sunday 18 November, Saturday 24 and Sunday 25 November from 10am to 3pm, be transported to the enchanting Cotley Christmas tree fields by tractor and trailer, where you can wander the 10 acres of idyllic Whimple countryside and select your perfect tree, label it and select your preferred date to collect it. Christmas tree farmer and owner, Lester, will then ensure trees are freshly cut just before collection closer to Christmas. Delicious hot chocolate and a mince pie to enjoy are all included on the day, with the Christmas farm shop opening its doors this year in the Log Cabin, brimming with decorations and the best of West Country produce to decorate your Christmas table and homes. The booking only event will be just £5.50 per adult, with up to 2 children per adult for free! Prices for our trees start at £15 - find our full price list here. On the day you will be able to choose from a Nordmann Fir or Norway Spruce.